Owning a computer comes with its fair share of risks. Users have experienced security issues and thefts that have caused people to lose valuable data as well as money. PC and laptop users are exposed to high-security risks. Thus, it is necessary to be aware of the malicious intents of hackers and to safeguard the system of any possible spyware, malware, or any other threats. There are different ways by which you can ensure the safety of your system. For instance, if you are using a Windows computer that is connected to the internet, then you will benefit by using high-end protection. Here are the perfect 5 simple steps that you need to take as they will protect your computer even from professional hackers. No doubt, hackers are notorious for making their way into Windows’ security features; therefore, it is necessary to update Windows frequently. It is advised to use windows updating feature as it ensures that the updates and installations are done automatically without prior notification. This also ensures no unauthorized access. In order to benefit from the internal feature, all you have to do is enable it in the settings. Just go to the menu option and check for the installation updates option. By clicking on the same, an automatic update will begin. Another best way is to simply keep Windows firewall on, which is the inbuilt feature that offers complete protection against internet threats and hijacks. Making use of reliable software and hardware, firewall makes sense as this will run on your PC even if you are busy doing different tasks. Go to the start menu option and then select the firewall status where you have to turn the “check firewall” settings. You will be indicated with green tick which designates that the firewall has been successfully activated. Working on the system basically involves usage of web browsers similar to that of any other software even they may be infected by virus or malware. The hackers are quite professional as they instantly capitalize on these and make use of websites that will affect your system. Upon doing this the hackers can easily have an eye on all your activities including passwords, personal information, and everything else. Updating or using the latest versions of the web browsers can easily set you free from security risks. This is, in fact, an additional process that will give you peace of mind. There is some antivirus software included with a malware scanner, but all of them are not have the best features. Also, not every antivirus software is capable of scanning malware. Therefore, it is best to use a malware scanner that will act as a protective layer and ensure the safety of vital information. 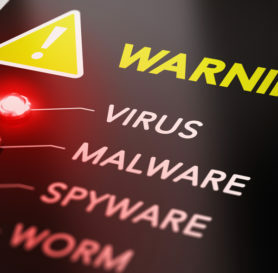 There are several free malware scanners available that are quite effective and are efficient at detecting unauthorized activities. The basic ones have added features that ensure 100% security against malicious intents of e-thiefs. Even if you have installed a reliable antivirus software that checks all your emails, browsing activities, etc., it is important that you also have an open eye. Be proactive by avoiding unnecessary emails. Most of the email providers will help in screening your mail for suspicious files. Be very cautious and never check or click on the link received from unknown sources which cannot be trusted. 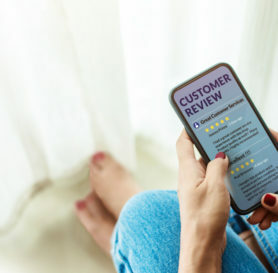 Even though they might sound appealing and offer impressive deals and discounts, it is best to double check before opening them.